It’s looking like Barrister Akéré Muna will be joining Attorney General of the Supreme Court and Activist Paul Ayah Abine in Prison. Recently, the Lieutenant-Colonel and Head of the Central Judicial Research Department at the Yaounde National Gendarmerie has sent a request to the President of the Cameroon Bar Association to summon Mr. Akéré Muna. 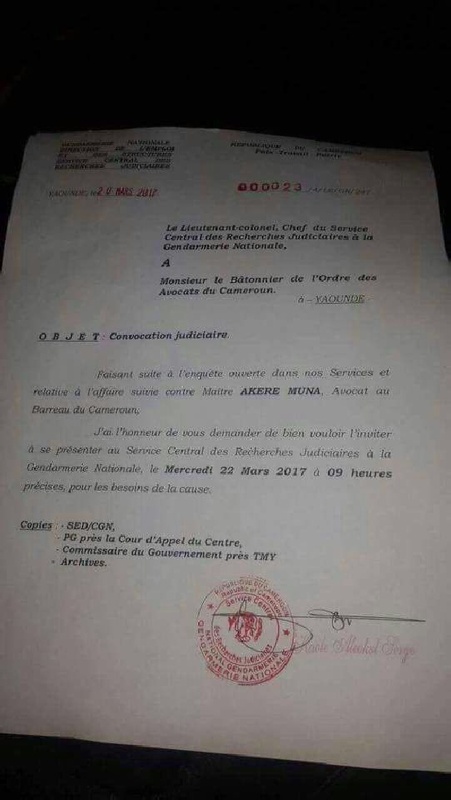 According to the letter, Akéré Muna is summoned to report to the central judicial investigation service at the national gendarmerie, Wednesday, March 22 at 9 am precise. This convocation follows an investigation opened against him but the reasons for which have not been mentioned. Difficult to say if Akéré Muna is on the run. All in all, he is not in the country rather in South Africa at moment. Maître Akéré Muna is son of former iconic Anglophone Prime Minister Salomon Tandeng Muna, he is currently the Chairman of the International Anti-Corruption Conference Council. He is also the Sanctions Commissioner of the African Development Bank Group and a Member of the High-Level Panel on Illicit Financial Flows from Africa. 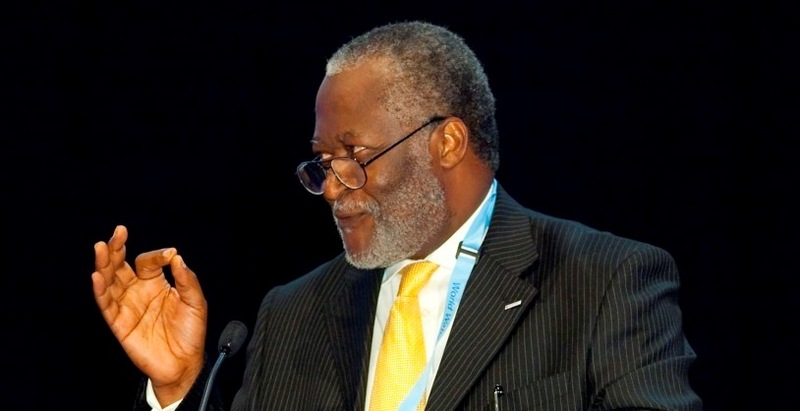 He previously served as the Vice-Chair of Transparency International, and he has presided over the Economic, Social and Cultural Council (ECOSOCC) of the African Union, the Pan African Lawyers Union and the Cameroon Bar Association. Muna has denied having any political aspirations in Cameroon, and has stated that his interest remains in his work as a lawyer and with civil society organizations. However, Jeune Afrique, a leading African weekly newspaper, has described him as both a credible and the possible successor to President Paul Biya, given his prominence in Cameroon and his accomplishments on the international stage, especially in the areas of anti-corruption and good governance.He is undoubtedly one of the most influential Cameroonians of the moment. He has openly condemned the government since the beginning of the anglophone crisis. Akéré Muna has always supported anglophones and is engaged in their struggle. He is working diplomatically to prevent them from escalating. Muna and Associates were hired by the Cameroon Civil Society Consortium (Consortium) to defend members arrested on 17 January and taken to the Yaounde State Secretary of Defense. He had openly contradicted Abdoulaye Wade views that the English-speaking problem is legal and political. “On the legal side, it is possible to align quite a few acts that have been laid down, which have completely truncated the truth,” said Akéré, who handles both the Civil Code and the Common Law. One should not be surprised if he militates for English-speaking rights. He comes from an Anglophone region. Back in 2016 while special Guest of Spectrum Television (STV) in December 2016, he brandished documents mentioning the independent West Cameroon and swears that he attended the proclamation of the independence of this entity. Proof that he has mastered the English language perfectly. His convocation today is cringing. He was given presidential ambitions. Asked by Jeune Afrique magazine in 2008 about his political ambitions, he replied: “I am not afraid of ambition”.